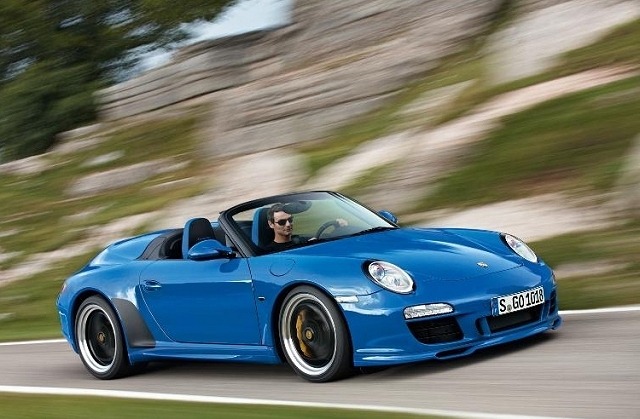 Porsche is set to reveal the all new 911 Speedster at the Paris Motor Show next month. Designed by Porsche Exclusive department and limited to just 356 examples worldwide the 911 Speedster receives a quite a few styling upgrades including a new front spoiler, bespoke side skirts, tinted front lights, black headlight surrounds and black windscreen border. 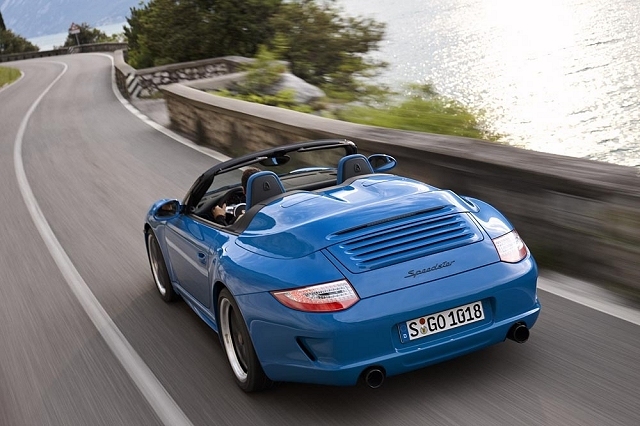 In addition, the 911 Speedster gets an exclusive “Pure Blue” paint job but the car is also available in a “Carerra White,” at no extra charge. Under the hood is a 3.8-litre flat six engine that pumps out 408-horsepower. Other standard features include the Porsche Active Suspension Management (PASM) system and Porsche Ceramic Composite Brake (PCCB). After the debut at the Paris Motor Show, the 911 Speedster will hit UK showrooms in January with a starting price £144,100.